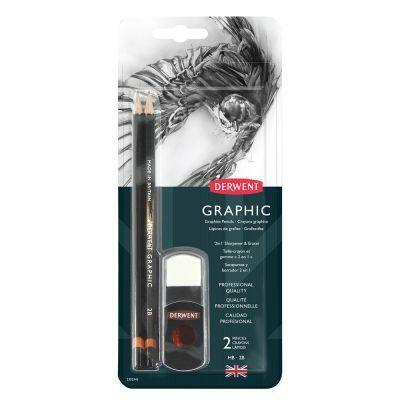 Derwent Graphic Pencils use only the finest graphite to create a smooth and graduated line, strong to the core and encased in Cedar wood. New improved core strength means less broken points. This set contains one HB, one 2B and the 2in1 Sharpener/ Eraser.